As more products and machines become connected, and analytical capabilities grow, new applications for the Internet of Things (IoT) will emerge. So too will manufacturers change how they make business decisions. This IndustryWeek Special Research Report gauges the current and planned usage of IoT technology and analytics by US manufacturers. 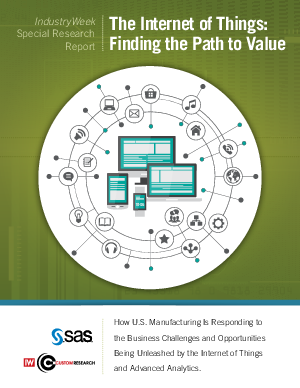 It also explores how manufacturers can develop a specific IoT strategy and apply analytics more widely across their organizations to drive revenue, cut costs and innovate.